New dates are announced for our mega and first of its kind event in Pakistan. 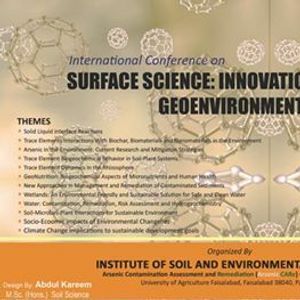 Arsenic CARe team of Institute of Soil and Environmental Sciences, University of Agriculture Faisalabad, Faisalabad, Pakistan is organizing a mega “Surface Science: Innovations and Applications for Geoenvironmental Challenges” on April 25-26, 2019. 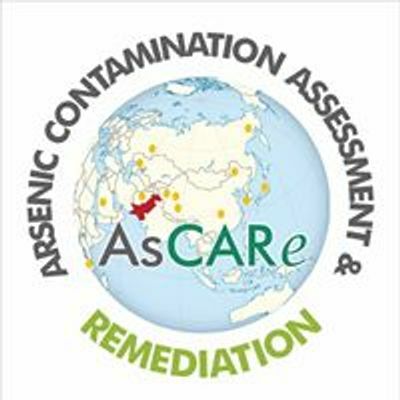 The aims of this conference are to highlight key advancements in the field of Environmental Geochemistry, Hydrogeochemistry, Biogeochemical cycling of Trace Elements, Biomaterials/Biochar, Material Science and Nonotechnology. 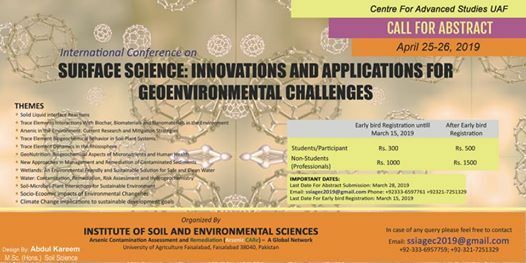 This conference will also provide a great platform to devise the robust strategies for future interventions and delivering real world solutions to Geoenvironmental challenges.